1.After the servers are combined, your account and login information will be unchanged; you will still be able to login to your usual account and server. 2.There will be an influx of players to some servers’ Arena/Epic Arena/Guild rankings, and your party’s ranking may be affected. 3.There may be Party Names which now have a duplicate on the same server. These players will have the opportunity to change their Party Name for free. 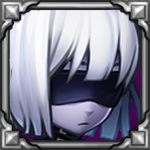 5.Raid Dungeon Damage rankings will be reset and determined based on damage dealt after the server merge. Records of the first Guild to clear Raid Dungeon stages will be cleared. 6. Combined Rating and Hero Star Rankings will be cleared and reset, and the rankings will be recalculated the next day. 7. When servers are merged, mines that are currently occupied in the Treasure Cave may be affected, please collect all loot earned in the Treasure Cave before themerge to ensure it is not lost. 8. Please Complete Crucible runs before the merge as this feature will also be affected and your progress could be lost.